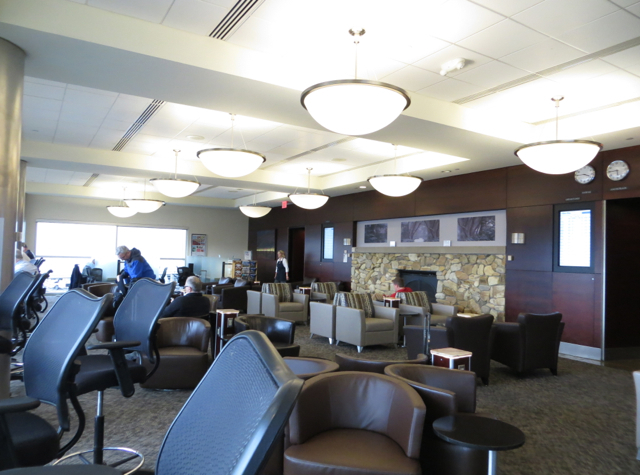 This review of Alaska Airlines Board Room Seattle Airport Lounge is from our recent visit, between our Alaska Airlines First Class flight from NYC (EWR) to Seattle, and before our Alaska Airlines First Class flight from Seattle to Honolulu, Hawaii. 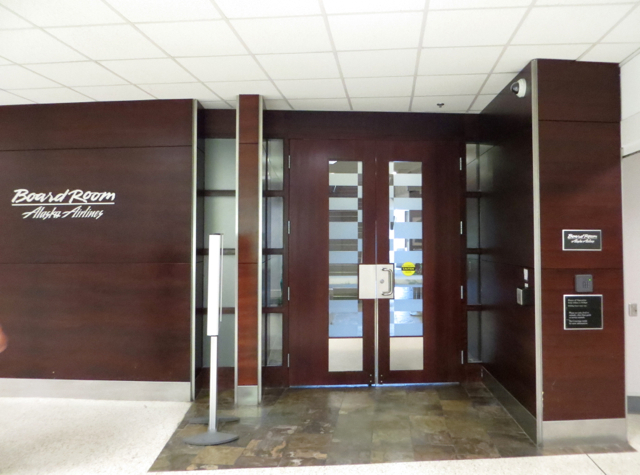 For an alternative Seattle Airport lounge, see our AMEX Centurion Studio Seattle Airport Review. 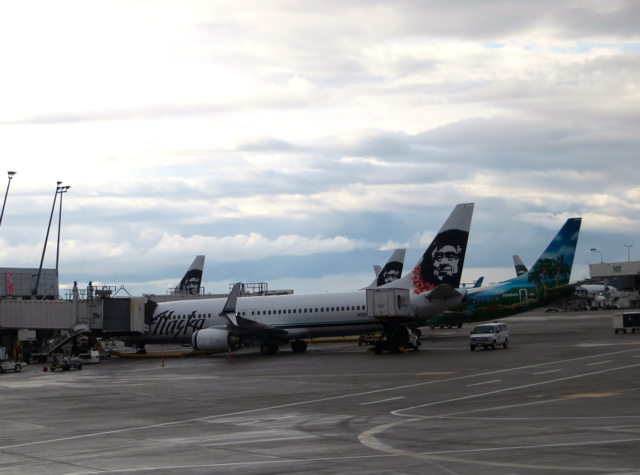 We previously visited the Alaska Airlines Board Room in Seattle over a year ago, after a visit to Seattle including the Four Seasons Seattle and Grand Hyatt Seattle, and I couldn't discern much change from our prior visit. Inside, we presented our Alaska Airlines first class boarding passes for our Hawaii flight and were admitted to the lounge. The reception staff were friendly, which was a nice change from some other domestic airport lounges where I've encountered some fairly frosty and imperious receptions. The view from the lounge is of the tarmac, although the runway is a bit obscured, at least from where we were. 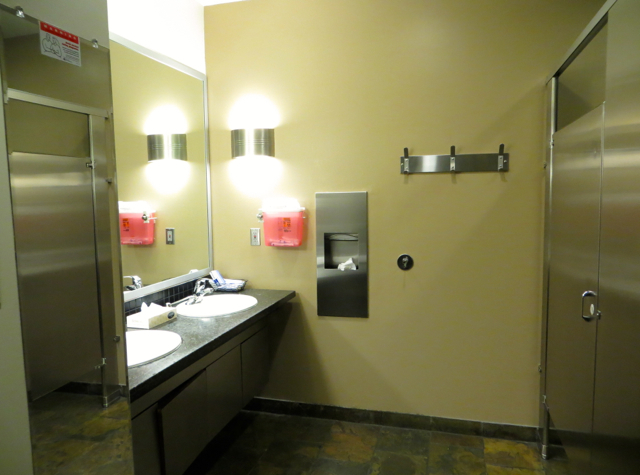 Next stop was the bathroom, which was standard–no shower or fancy amenities here–but at least quite clean. We'd had lunch what seemed like ages ago, and the munchkin had done a fair amount of running around a playground with some of his second cousins, so we were both hungry. 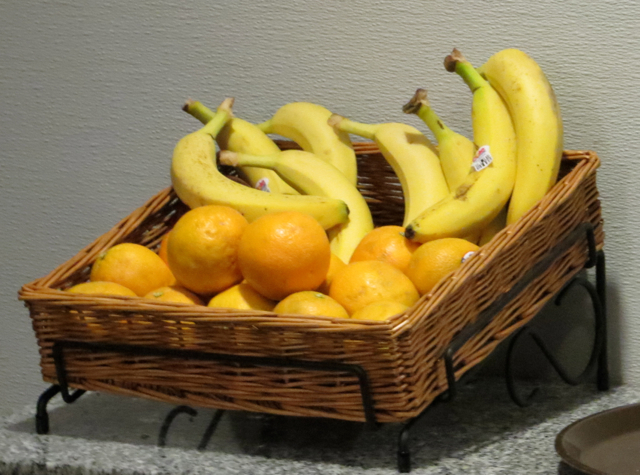 Unfortunately, there's not a lot of food on offer in the Alaska Airlines Board Room, although fortunately it's actually a bit better than some other domestic airline lounge. And what was especially nice was an associate who saw the munchkin and brought out some yogurt cartons for us, from a fridge in the kitchen. 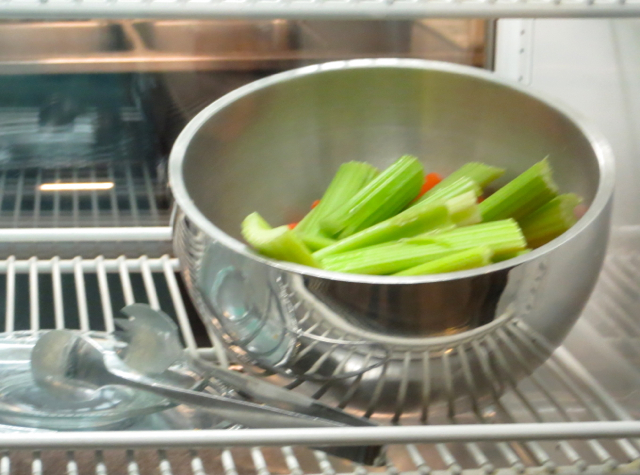 I wondered why these weren't in the refrigerated case along with the celery sticks, but at least she was kind enough to give us seconds when we'd finished the first. This was the highlight for both of us of the food offerings, even though I did sample some corn chowder later. I got some work done, and the WiFi speed was quite good, if of course not as fast as at home. But presently the munchkin was clearly tired. There aren't of course any sleeping rooms, so I improvised a bed for the munchkin by turning two of the high backed chairs to form a sleeping cubicle of sorts. 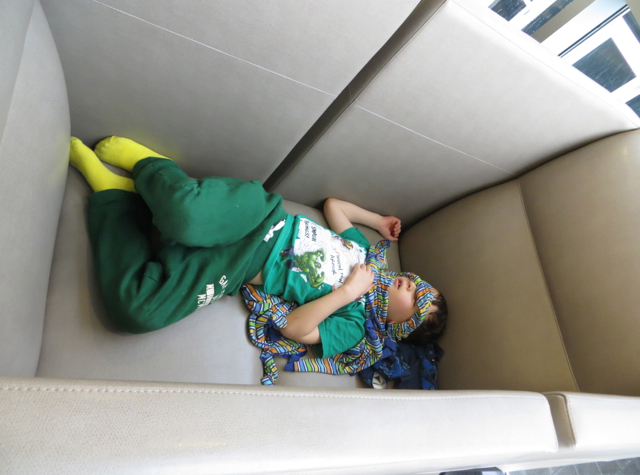 He was so tired he did in fact fall asleep, and I hated to have to rouse him when it was time to catch our flight. The Verdict: The Alaska Airlines Board Room is a far cry from the better international business class lounges, let alone first class lounges, but it holds its own against other U.S. domestic airline lounges. Sure, I'd love for there to be showers and beds or more comfortable lounge chairs, but the other U.S. airlines don't have those in their purely domestic airport lounges either. 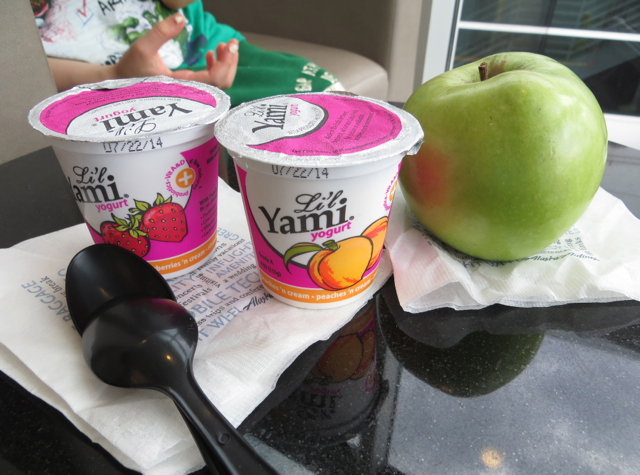 Food, while sparse, at least included fresh fruit and yogurt (if you asked for it), a huge plus. And bonus points for the Green & Black organic chocolate squares in the bowl at reception. 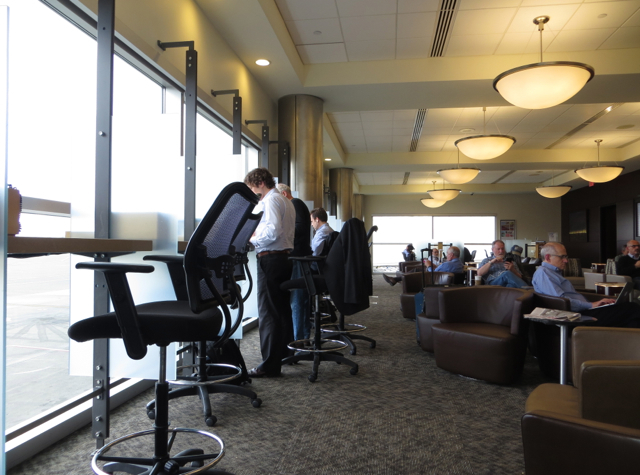 If you've visited the Alaska Airlines Board Room Seattle airport lounge recently, what was your experience?